Cut Sleeve Boys set to be released theatrically in the US! "I loved every magical second of this movie, what a wonderful expose of gay london life. UK DVD Release of Cut Sleeve Boys! 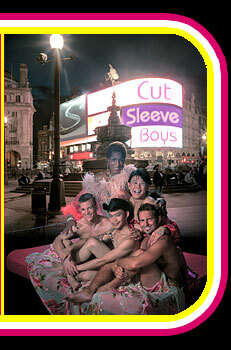 The DVD release of Cut Sleeve Boys in the UK has been confirmed for the 14th May 2007. Rent it from your video store buy your copy today from Amazon click here or from PLAY click here. Fresh off the plane, Ray from New York and Chowee from Sydney, reunited with some of the cast and crew at the National Film Theatre for the UK premiere of Cut Sleeve Boys at the South Bank. CUT SLEEVE BOYS VOTED BEST FEATURE BY AUDIENCE! 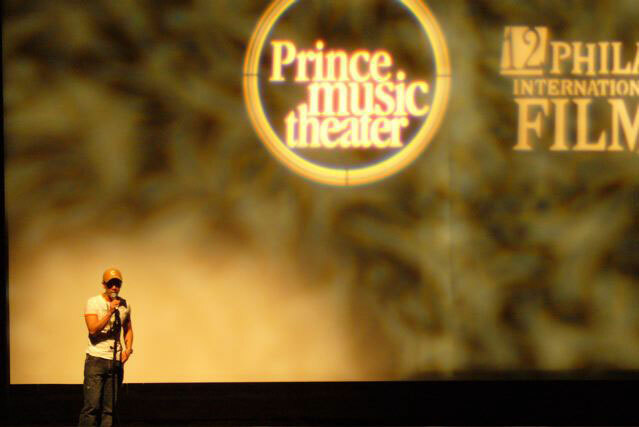 At the 4th Fusion Festival presented by Outfest in Los Angeles which ran from 1-3 Dec 2006, Cut Sleeve Boys was voted Best Feature by the audience amongst the impressive lineup of films this year. This Audience Award clearly proves the film's appeal amongst the filmgoers of LA. To read full article @ variety.com click here! CUT SLEEVE BOYS WINS TWO AWARDS AT MADRID FESTIVAL! At the 11th Madrid International Lesbian and Gay Film Festival held from the 2nd-12th Nov 2007, Cut Sleeve Boys was delighted to be the recipient of two honours at the awards ceremony. Firstly, the jury presented Chowee Leow with the Best Actor Award. In addition to that, the film also won the 2nd prize of the prestigious Audience Awards as voted for by members of the public who attended the screenings of the film. The awards provided clear recognition of the film’s international appeal even to the sophisticated Spanish audience. Ray Yeung's comedy Cut Sleeve Boys and Ashish Sawhny's documentary Happy Hookers are among the line-up of the 4th Annual Fusion: the Los Angeles LGBT People of Color Film Festival. The event will kick off with a selection of international shorts and closes with the US Premiere of Pratibha Parmar's romantic comedy Nina's Heavenly Delights. The festival includes music and arts events and is scheduled to run in Los Angeles from Dec 1-3. CUT SLEEVE BOYS BANNED IN SINGAPORE! Festive Films, the Singaporean film distribution company who made a conditional offer on Cut Sleeve Boys have just informed the producers that the film has been banned in Singapore. According to Mr Sim Wee Boon of Festive Films the Singapore Board of Film Censors declared the film was “disallowed for any form of exhibition due to the promotion of the alternative lifestyle". 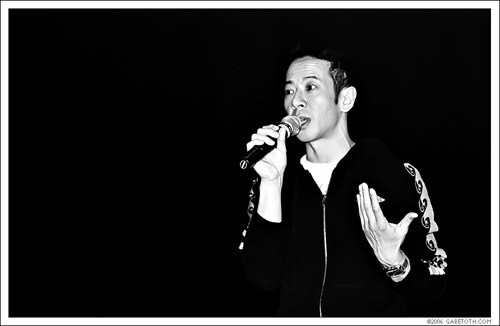 Interview with Ray Yeung by Pink News! "Gay Chinese movie confronts stereotypes"
Following the Taiwanese premiere of CUT SLEEVE BOYS at the Taipei International Film Festival, the film later ran in the summer alongside three European romantic comedies. This was great for the film as it managed to break out of the sexuality and ethnicity box and was screened at mainstream cinemas in Taipei defined purely within the romantic comedy genre. USA, UK, Portugal, France, German speaking Europe, Benelux, Thailand, Taiwan, Philipines. Fridae scores an exclusive interview with Steven Lim about his role in Cut Sleeve Boys! "Cut Sleeve Boys to premiere in Asia at the Bangkok International film festival"
- Fridae news & features. "Here! Films has acquired North American distribution rights to Cut Sleeve Boys from worldwide sales agent Fortissimo Films..."
"The independent production and distribution company, here! Films has acquired North American distribution rights to the film, Cut Sleeve Boys, from world-wide sales agent, Fortissimo Films...."
"Loved it! The movie was funny and the story was great. The cast was good and loved the twists and jokes. Loved your work guys!" Already seen CUT SLEEVE BOYS? Share your review with us by Clicking Here! Fri Feb 23rd @ 7.30pm - The Academy Twin Cinema Sydney. Tues Feb 27th @ 9.30 - The Academy Twin Cinema Sydney. 4th Annual Fusion: The Los Angeles LGBT People of Color Film Festival. CSB is in the Sony HDV Asian Digital Competition section. CSB will be screening as part of the Special Presentation. CSB was selected as the Suprise Gay Film of the Festival. It screened to a full house at the PATHE 2 on 31st of Jan followed by a very packed party at The Heeren Bar. Our first public screening and post show Q & A went down very well with the crowd and the audience were ushered into the theatre before the screening by 5 very beautiful ladyboys (see photo).